Finding the right personal injury lawyer in Cambridge is vital - in such a difficult period of your life you need quality representation to give you the peace of mind and financial reparations that you deserve. 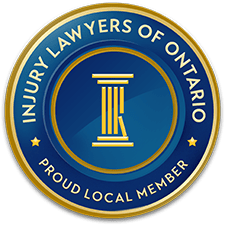 If you've sustained injuries as a result of someone else's careless or reckless behaviour, you owe it to yourself to discover whether or not you can earn compensation. Often after a debilitating injury, one can feel hopeless about a future with financial security - where you are able to move past your pain. But with a legal team that cares about you, and will go to bat in the courtroom while keeping you informed about your case, you can rest easier. At Dietrich Law, we've helped many clients who need assistance putting their life back together. Call us for a free consultation today. Each year, millions of Canadians suffer a serious injury that will affect their ability to perform day-to-day activities. For Ontarians up to the age of 44, injury is the primary cause of death and about 4,600 people die every year after being injured. Falls are the most common source of non-fatal injury in Canada, particularly for seniors and adolescents, but motor vehicle accidents are much more likely to result in fatal injuries. Understanding why and how accidents happen can sometimes help us avoid injury. Slips and falls during winter, for example, are less likely to occur when we’re wearing footwear that provides good traction and there’s ample empirical evidence to prove that driving while we’re intoxicated or distracted greatly increases our risk of being involved in a car accident. However, despite our best efforts and prudence, we cannot always avoid accidents, particularly those caused by careless or negligent drivers, property owners who don’t take care to keep visitors safe, or other parties who create dangerous circumstances that may cause injury to others. Pedestrian accidents and cycling accidents, for example, have been on the rise in Ontario and often result in very serious injuries for these vulnerable road users. Many of these accidents occur when drivers don’t see, or fail to monitor for, pedestrians and cyclists. An all-too-common occurrence is when a vehicle makes a turn at an intersection where a pedestrian or cyclist is already advancing onto the road. This is what happened at the intersection of Dundas and Hespeler Road in Cambridge, when a car struck and seriously injured a Cambridge man while he was crossing the street. The healing period for accident victims generally depends on the severity of their injury, general health and any pre-existing health conditions. Nevertheless, review of patient recovery and rehabilitation data reveals that everyone does not recover at the same pace or in the same way. Further, chronic pain, fibromyalgia and other disabling injuries can arise after the initial injury and may, in themselves, create a life-changing impact on an accident victim’s quality of life. An accident victim who is seriously injured in an accident typically incurs losses such as: lost income; cost of rehabilitation treatments including physiotherapy, chronic pain therapy and chiropractic treatments; pain and suffering; family expenses; as well as other costs arising from the injury. Accident victims often have several options available to them, for recovering any expenses or losses caused by their injury. Pedestrians, cyclists, passengers and drivers who are injured in an automobile accident are eligible to claim Statutory Accident Benefits (otherwise known as ‘no fault’ accident benefits) under the automobile insurance policy of a driver involved in the accident. Based on the deadline specified in the auto insurance policy, which is typically 7 days, you must report the accident to the insurer within this time frame or your insurer may not honour your claim, unless you have a compelling reason for a late notification. Injured persons are entitled to claim an income replacement benefit (IRB) up to a specified maximum amount, to reimburse them while they are unable to work. And, persons who were not working when they were injured may be eligible for a non-earner benefit. You may also claim medical and rehabilitation/attendant care expenses, but the duration and amount available to you will depend on the severity of your injury, notably, whether your injury is catastrophic, non-catastrophic or a minor injury. Persons who were catastrophically injured are also eligible to receive a caregiver benefit and/or housekeeping benefit. All of these benefits are available under the standard auto insurance policy; however, policyholders may add optional benefits to increase their level of benefit. Any accident victim may also sue for damages against the person whose negligence caused the accident and their injuries. In the case of a car accident, motorcycle accident, pedestrian accident or other motor vehicle accident, the injured party (the ‘plaintiff’) may sue the at fault driver. For other accidents, such as slip-and-fall accidents or injuries that occur at a recreational venue, a lawsuit may be brought against the property owner/occupier if the latter was negligent and failed to take reasonable actions to prevent the accident victim from being injured. Further, any person who is unable to work due to their injuries may also make a claim under the Canada Pension Plan (CPP) or for long-term disability benefits under their disability insurance plan. 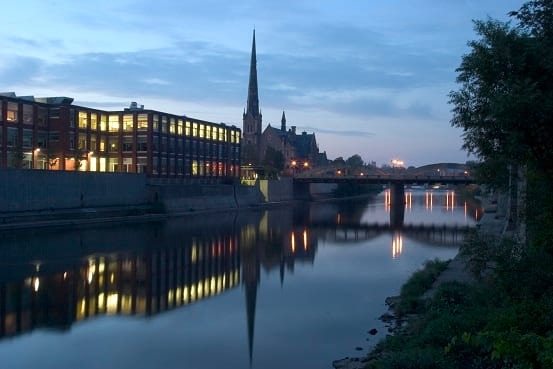 If you were injured in an accident, Cambridge injury lawyers at Dietrich Law can provide expert advice on your optimal approach for obtaining fair compensation. In a no-obligation consultation, our experienced staff will answer all your questions and provide an honest assessment of what you can expect during the claims process.